CITO time is here again! Come join us for the first of the two official Geocaching.com CITO weeks this year! 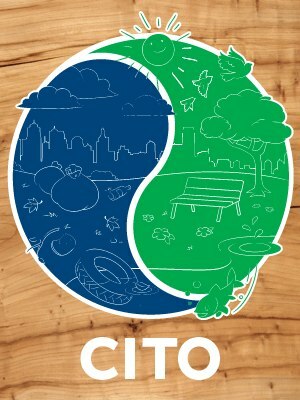 Take part in CITO week, help clean up our little corner of the world, and meet some new folks while at it! That's right fellow cachers! The time is once again upon us to come together and help keep our valley clean and trash-free! We would like to invite everyone to take part in a potluck lunch afterwards! That's right, we're hoping everyone can bring a side dish of some sort and get together for a celebratory lunch after our hard work. We will be providing some burgers, hot dogs, and buns, but would be hopeful that participants would bring a dish to share with the group. If you would like to participate in bringing a dish, please include what you'll be bringing in your "Will Attend" log so we can get a good idea of things and hopefully have a variety of dishes to feed our faces Also, please include a headcount for your party so we can plan accordingly with food, plates, etc... Feel free to bring any other items that you may want to donate to the cause (i.e. paper plates, napkins, drinks, utensils). Your help in this project is greatly appreciated! Ideally, lunch will be scheduled from 11:45-1:00 p.m.
Ab uvag arrqrq, whfg pbzr naq unir fbzr sha!